"....luminous....a stellar collection of masterfully crafted gems." 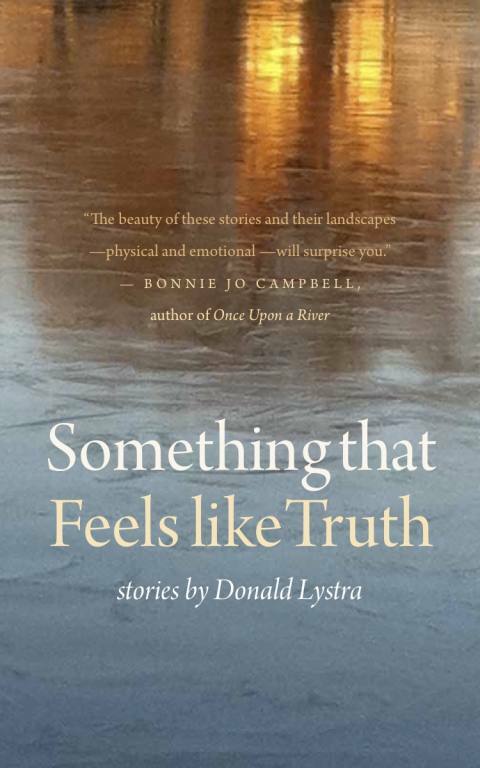 "Lystra draws the bleak, beautiful landscape of the Great Lakes region in quick, sharp strokes, and brings its inhabitants to life with compassion and tenderness." "(The final story) illuminates the themes and patterns that precede it and in so doing illuminates life....I won't forget this beautiful piece and what Lystra accomplishes in it and in this wise book." "What makes these 16 stories work is their portrayal of life in the Great Lakes region. They swell with empathy and a knowledge of the land and of the people who populate it." "It (the writing) is all absorbing and understated. In some ways, Lystra’s work is reminiscent of his fellow Michiganite Elmore Leonard (absent the mobsters and melee) in its admirable Midwestern reserve…..But summaries don’t do them justice. It’s Lystra’s lucid voice that stops you cold." “SOMETHING THAT FEELS LIKE TRUTH is as quiet and luminous as the cold night sky over Michigan. At the core of these elegant, unforgettable stories is a stillness that’s mesmerizing. Like the great Midwestern writers Ernest Hemingway and William Maxwell, Lystra knows that riveting drama can be found in small moments, hidden behind the ordinary-looking doors of our neighbors. These are love stories, for the most part, about what happens when good people lose their passions and life leaves them stunned but not broken. Lystra is a writer of great wisdom and artistry, with a voice that makes you lean close and listen hard, shushing the noise around you so you will not miss a word.